In Cambodia the Kings birthday was celebrated on the 13th, 14th & 15th May, so our school was closed. 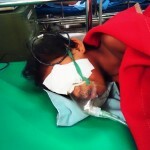 This gave us time to spend on medical issues, we took 7 villages to various Hospitals over these 3 days, several for eye issues. Six year old Mey Mey from our kindergarten class was one of these. As you can see she was originally cross eyed, volunteers Laurie and Max (pictured) offered to pay for corrective surgery and associated costs. 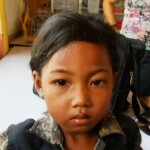 We took Mey Mey to CSC Hospital which operated free of charge, so a US$100 donation was given. 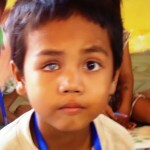 Among others taken to CSC for tests was Tearith (pictured last), he is blind in one eye, further tests need to be done for him in six months time with the possibility of him receiving an artificial eye.